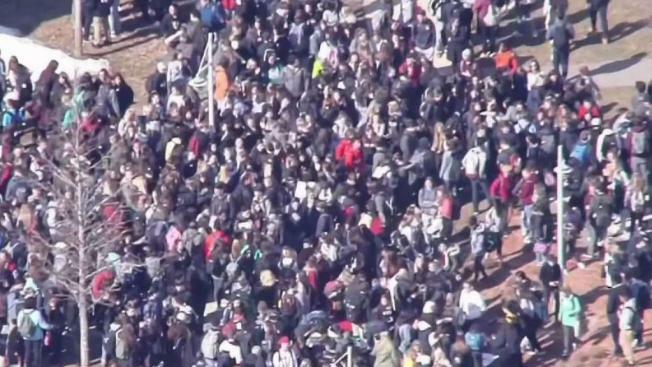 Attorney Wendy Murphy, a professor of sexual violence law at New England Law School in Boston and a former prosecutor in Middlesex County, Massachusetts, stands behind the students of North Andover and their walkout earlier this week. "The most outrageous of all is that the victims were the ones subjected to no contact orders on campus, as if it was somehow their obligation to protect him," said Murphy. "That's not how the law works." Four students allege they were sexually assaulted by a fellow classmate, and instead of support, they received no contact orders that put the burden on them. "The school system said, 'Here's an order that essentially says we are telling you to stay away from him, and if you don't stay away from him, you could face disciplinary sanctions, including suspension from school," said Murphy. "Are you kidding me?" Murphy said she's not formally representing anyone yet, but she did go to the town to revoke the no contact orders of the four alleged victims. She said she was pleased the town revoked the orders, but when she asked them to not use them in the future, she said she didn't get a response, and that concerns her. The North Andover School District's practice became public last week, and the orders limit the movement of the girls around the school to keep them away from their accused attackers. "If they walk in the wrong hallway or if they show up at the wrong location at the wrong time — they could be suspended from school, but the offender is never suspended. How does that make sense? How does that make sense? asked Murphy. The superintendent said earlier this week that the district would hire legal counsel to look over their procedures and practices.